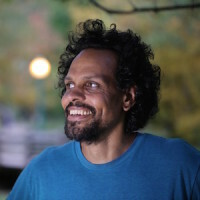 Ross Gay is a gardener and teacher living in Bloomington, Indiana. His book, Catalog of Unabashed Gratitude, is available from University of Pittsburgh Press, 2015. Let’s not get it twisted. @ShanteParadigm on Twitter said it best regarding ol’ girl’s foolishness.